This set was created to help students master letter recognition and letter sounds. The resources included in this set will help to provide your students to master beginning letter sounds. 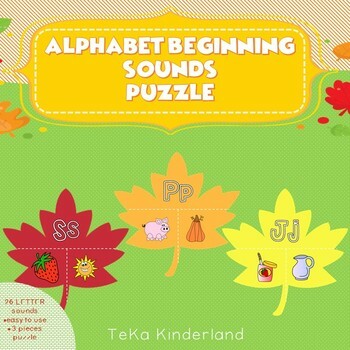 This puzzle set includes 26 letter sounds and 52 beginning sounds pictures. Two pictures for every letter. 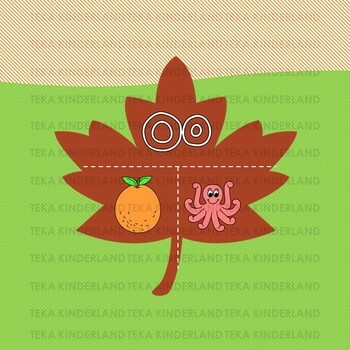 This packet is for Pre-K and Kindergarten student. Children are asked to put the puzzle pieces together that begin with the focus letter sound. To prepare this set just print, laminate and cut the cards. I have included printing tip and how to use page in this set. I value your feedback greatly. For every feedback you make, you earn TpT credit. Click the GREEN star to become follower. Get new updates of my new products, sale and freebies every time.